Here is a list of some highly recommended products that I've been reaching for lately along with a mini review of the products. This is a very soft pale pink highlighter almost with some slight purple tones to it. It reminds me of Benefit's High Beam, except you get more of it and its cheaper! I've been mixing this with my foundation and applying it lightly on my cheeks for some much needed pick me up and this is perfect for brightening up the inner corners of my eyes. See my full review here. I pretty much reach for this product daily. I will apply this on my face, neck, chest, and forearms for a nice bronzed look. Especially when I haven't slept much the night before this is a life saver and actually gives my skin a very healthy glow to it. I love the way it feels to apply this and the subtle sun kissed glow you get. I was gifted this baby from Justina and I'm absolutely loving it. I have a few other Color Tattoo's that I almost never wear, but this color just hit it right for me. This is a gorgeous gold color that looks great with my green eyes. Although I notice some minimal creasing, overall, the staying power of this drugstore cream shadow is pretty amazing. I find myself reaching for this mascara a lot lately. It seems to be the one in my arsenal that is best at lengthening my lashes without clumping. I think the volumizing effect is more minimal, but for length with no clumps, this is hands down the best for a drugstore priced mascara. It also has a lash grow complex infused into it and I do notice that my lashes really do appear longer when using this regularly. This is part of the new Elle cosmetics line at Kohl's. I was thoroughly impressed with this color. This is such a pretty pink that is neither dull nor too bold. It goes on super creamy and is pretty long lasting. I notice when it wears off it leaves almost a stain on your lips, but in a good way, so your lips have still retained some color after this has worn off. 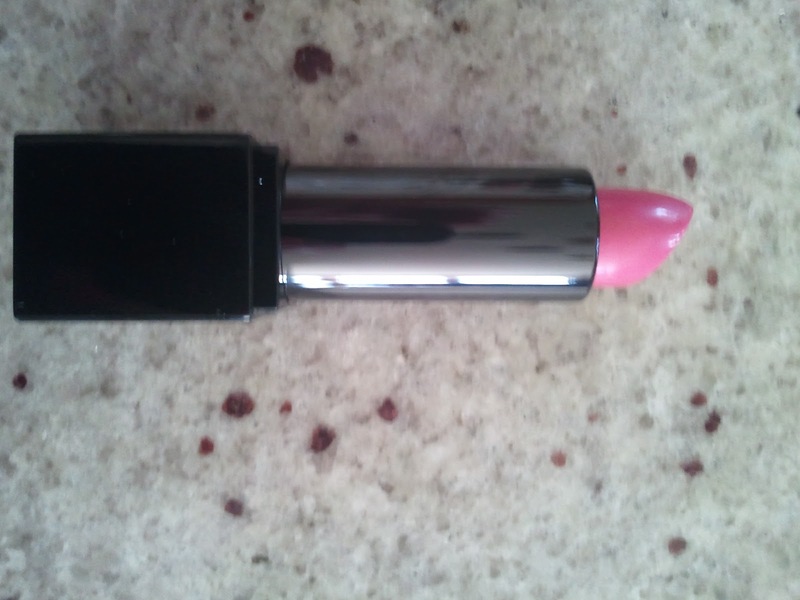 I don't like the clunky plastic rectrangular packaging, but other than that, its one of my new fave lipsticks. This is a must have to cover up any dark circles you have underneath your eyes or any other red patches like around your nose, cheeks, or chin area. This has a thick consistency to it and a little goes a long way. I have just been using this product for about a week so I really can't comment yet on whether this reduced my wrinkles or lines. What I can say is that I love the pink colored creamy gel texture to this. It feels so luxurious when applied to my skin and my skin is left super soft after and feeling great. I'm looking forward to seeing my fine lines disappear, please! This is one of my 2 favorite colors for spring. The other color is Zoya Bevin which is a muted mossy green. 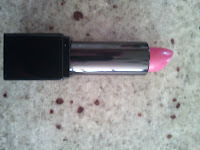 Trout Pout is a fun vibrant peachy pink color that comes with a matching lippy. See this color swatched here. This is a shadow I've had for months and months, but it is one of those I reach for on the constant. This pairs well with almost any other color, especially taupes and browns. I paired this with the gold color tattoo today. I usually apply it with a fluffy crease brush and apply it lightly into the crease and outer V area. This seems to make my eyes pop out and is just such a beautiful color. I bought this to pair with Woodstock which is a super bright pink and use to be my favorite, but I've found I tend to reach for Last Call much more lately. This is a perfect color for me and I've been using it a ton on my lower lash line and in the outer V area where the lash lines come together. 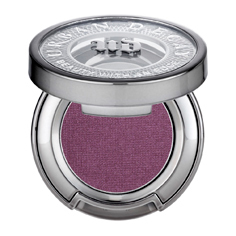 This is a deep plum with subtle glitter to it. I notice it brightens up my green eyes immediately and is a go to eyeliner for me lately. Although this is suppose to be able to be a wear alone foundation and not necessarily a finishing powder, I don't find it has a enough coverage for me as a foundation alone. I usually use Garnier's BB Cream or Jouer tinted moisturizer and then using a fluffy powder brush, I apply this over top. I seem to get the best results that way and notice my skin looks nearly flawless after. 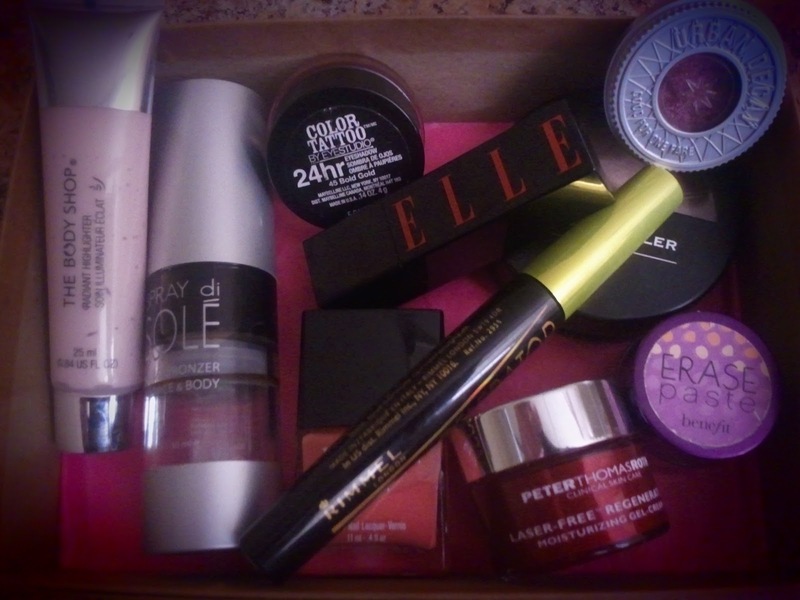 So that about sums up my favorite products lately, all of the ones that I've been using several times a week. What are your Friday Favorites? Be sure to comment and let us know! I'm in love with the Peter Thomas Roth gel cream!!!! Like you said, I haven't been using it long enough to tell if it really lives up to its claims, but it feels so amazing and luxurious on my skin.